2 How to Deactivate GP 1GB Internet 94 TK Offer 2017? Hello Dear, Welcome to GP 1GB Internet 94 TK Offer 2017. 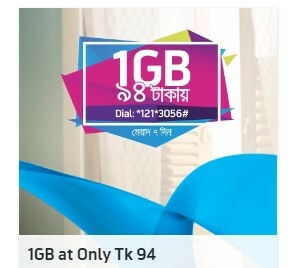 All the Grameenphone Prepaid and Postpaid customers are eligible to buy GP 1GB @ 94 TK Offer. 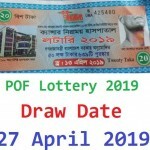 If you are are Grameenphone connection users and want to activate 1GB GP Internet Package, We recommend you first check the GP 1 GB Internet 94 TK Offer Terms and Condition. To activate GP 1GB@94TK Internet Offer, Customers need to recharge exact 94 TK or Dial USSD Code *121*3056#. VAT + SD + SC includes in Recharge amount 94 TK. The Validity Of GP 1GB 94 TK Recharge Offer 7 days. Customers can activate this GP 1GB Offer as many times as they want during the offer period. This GP 1GB Internet Offer will be running until further notice. To check GP 1 GB @ 94 Taka Offer remaining Internet Volume, Just Dial *121*4*1#. This GP 1 GB @ 94 TK Recharge offer is not applicable for Skitto users. How to Deactivate GP 1GB Internet 94 TK Offer 2017? Are you searching how to deactivate or stop GP 1GB Internet 94 TK Offer? If yes, No tension. It is very easy. Just go to the Dial option and Dial USSD Code *121*3041#. Thanks for staying with us a long time and visiting GP 1GB Internet 94 TK Offer 2017. If you have any confusion or question about the GP 1GB 94 TK Offer, Just comment the Box, We reply as soon as possible with a correct answer.